The huge demand for quality leadership in our times is completely underrated. This is because it makes demands on all levels – above all on one’s own capacity to change: to intuitively hand the power and control over to the self responsibility and organisational skills of one’s colleagues; to recognize one’s own projections and be open to the unexpected, to let go of old patterns and while at the same time still exerting wise judgement and influence. Only thus can higher level solutions, collective intelligence and co-creation come about, preparing the company to be agile today, tomorrow and the day after tomorrow. Become aware of what you are already doing as a change agent as well as what you can and must transform using real inner strength. "Transformation is easy to trivialize. But it is difficult. For everyone. But above all transformation is not about transforming the organization, but rather transforming oneself." "Discussions with Dr. Schwalbach are always characterized by profound knowledge: a precious contrast in these times of often unreflected superficial communication, which is especially important for senior management." "Working together with Michael Schwalbach is always a pleasure for me personally and professionally. It is a very innovative and inspiring experience." "Mr. Schwalbach is a full-fledged expert with extensive experience in managing the latest and most successful management and organizational models. I value him because he does not recommend standard solutions, but rather works with us on strategies that are really suitable for us." The management sees great potential for profitable growth. The existing leadership and enterprise culture is, however, not very suitable for supporting ambitious strategic objectives. We are to accompany the company on its cultural journey towards greater corporate responsibility and towards higher agility and speed – without falling into the speed trap. The management spokesperson leads in a clearer, more direct and more effective manner. Both managing directors resolve conflicts among themselves more appreciably. The management team has less direct control over employees and trusts then more. Commitment, an important component of the management’s leadership, is now clearly felt. Overall, the employees are more satisfied – and sales as well as profits have grown strongly and organically. Competence building abroad and effective onshore skill shifts are the goal – but the affected business area has been entrenched for too long in the offshore process. The board of directors is dissatisfied. The speedy implementation is a success. The discussions we initiated sharpened change leadership awareness in international leadership. 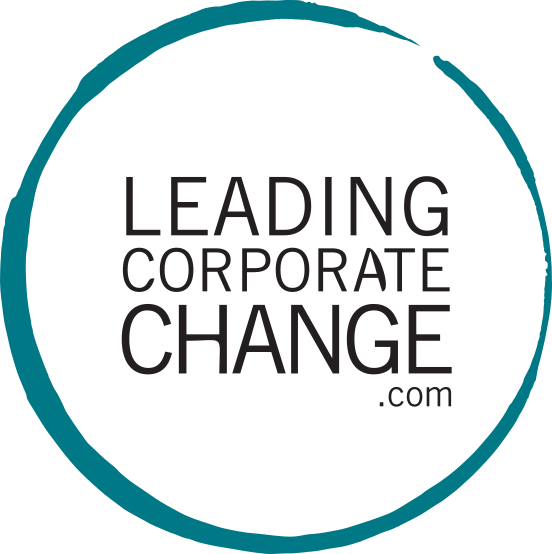 The new change model also serves as a framework for further changes: It contains innovative intervention providers, as well as the assessment of change interventions and methods with regard to the company. The board of directors wishes to centralise the globally spread management functions. In a multi-day workshop with senior management, the centralisation timetable is to be defined. Together with our partner Nextpractice and the board of directors, we discussed the objectives of the workshop. In so doing, a strategic success factor became clear: genuine commitment and alignment of the managers for the task, not just lip service. To achieve clarity about this, a cultural analysis was carried out prior to the workshop. Based on this, Nextpractice was able to implement a large-group workshop with the sector executives, which was precisely attuned with the company’s culture. Strong motivation and top commitment to the centralisation project. The initiatives developed are actually implemented – and all those involved are pulling together. The head of in-house consulting asked for change support. He wanted his team to align on future strategic tasks – with major changes in the following areas: self-understanding of their own added value, the structure of the organization and development of the human resources of the advisory group, the extent of collaboration between the sub-teams, knowledge generation processes and interaction with internal customers. Not only did the head of in-house consulting expand his field of competence by becoming aware of the blind spots in the support and inspiration of his team but and above all, the consultants themselves are once again full of energy and 100% in the position to take their own responsibility for driving forward upcoming developments and changes. These are, therefore, sensibly carried out from the inside, leading the decisive change to the learning organization. The market is demanding. Board members and area managers of a CMS provider want to set the strategic guidelines for the next two to three years. In a strategy workshop with the management team, we are not only to moderate the process but also introduce strategic thinking approaches. A two-day workshop created the space for the necessary reorientation. Our interactive reflection on the discussion process took place after the workshop. In so doing we highlighted the key elements of the implementation, namely the energy and inspiration in the management group as well as barriers to learning and change within the system. The new focus is clear: acquisition of new customers and partner management. The corresponding result and action plan was adopted to ensure the desired objectives. A program to increase sales skills was also launched. All those involved are aware both of accelerators as well as barriers to success. A fully-fledged project. The donors of the foundation for the support of gifted and talented young people expect the foundation to be more efficient. The management asked for professional support in order to meet these expectations in the long term. The entire foundation team was supported apropos of the following key question: What potential for improvement is there in business and information processes, organisational structure, measurement and control variables, as well as in performance figures? In addition to this new look at processes and organization, the team members reflected above all on their own actions which they critically questioned and appraised. A challenging step among so many diverse personalities, which could only succeed within a very mindful, respectful context. The new visions and insights unleashed productive energy. Each individual member of the team recognized how he/she could contribute to the improvement of results and put this into practice too. In a personal sparring, the manager reflected on her leadership role and skills both with regard to the current transformation task and beyond. The managing director can now step back from the operational business and focus on the strategic development of the foundation. Important workflows were freed from duplication and superfluous controls. Communication and reporting structures are much more transparent. The feedback culture was also significantly improved. Ergo: The key steps towards efficient self-organization have been taken.